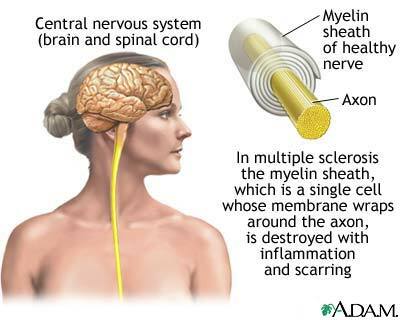 Multiple Sclerosis is an autoimmune disorder that is characterized by a general progression of symptoms. Over time, symptoms which typically affect the brain, the spinal cord and the central nervous system, will worsen making it impossible to perform even daily routine functions. It can be a challenge for a person who has multiple sclerosis to qualify for Social Security disability benefits. To qualify for benefits, it is important that your condition have lasted for 12 months or is expected to last for 12 months. This can be easier to calculate for other conditions, but when a patient suffers from multiple sclerosis, it can become much more complicated because people who suffer from multiple sclerosis typically have periods during which they have no symptoms of the disorder at all, interspersed with relapses or periods of sickness. Additionally, the periods of sickness differ in intensity and severity. However, a person who suffers from severe multiple sclerosis, or an advanced stage of the condition, may have a much better chance of getting disability benefits approved. For instance, a person who has difficulty walking, using hands, suffer from partial paralysis of the limbs, tremors, or memory loss, or has decreasing vision, may be eligible for benefits under Social Security. However, just because the disorder is characterized by these periods of seeming wellness interspersed with periods of sickness, doesn’t mean that you have no shot at disability benefits. Social Security does recognize that the disorder is episodic in nature, and SSA will evaluate other factors, including the lengths of the intervals between your episodes to evaluate your claim.